Richmond U15s played Wolviston away on a "fresh" early season evening. Batting first Richmond scored briskly with 35 on the board after 5 overs through Tom Dowson and James Kelly. After losing these two soon after the innings was steadily rebuilt by Tom Ward and Uchenna Anyadiegwu. A final flourish from Griff Bewell and Ben Dale saw Richmond post 89-7 off their 16 overs. In the field Richmond started well with a sharp catch from Angus Potter off James Kelly's bowling removing their in-form opener in the first over. Captain Dowson shared the bowling around shrewdly and with all the bowlers keeping it tight runs were hard to come. 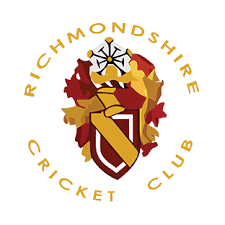 Wolviston eventually finished on 47-8 for a Richmondshire win by 42 runs. Fielding highlight of the evening was undoubtedly Harry Mawer's quality one-handed catch casually taken at square leg with the ball going like a rocket!